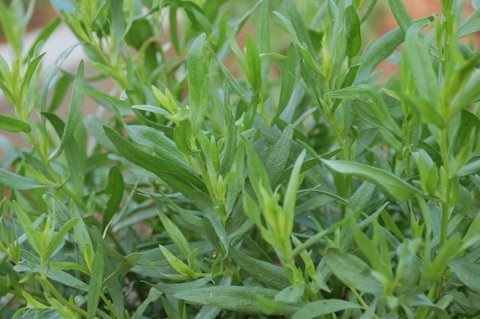 Tarragon is used in stews, meats and fish, egg and cheese dishes, light soups and fresh fruits. It is often an ingredient in chicken recipes. Use sparingly for a vaguely sweet accent. Tip: To baste chicken, fish or seafood, blend tarragon with butter, chives, and lemon. Put chicken in 9 x 13 inch pan. Mix soup, broth and tarragon and pour over chicken. Sprinkle vegetables, slightly cooked, over broth mixture. Mix flour, baking powder, buttermilk and melted margarine. Stir to form thin dough. Pour over chicken mixture. Bake uncovered, one hour at 350˚. Mix mayonnaise, cream, tarragon and onion together. Stir in chicken and grapes. Salt and pepper to taste and serve on a bed of lettuce.